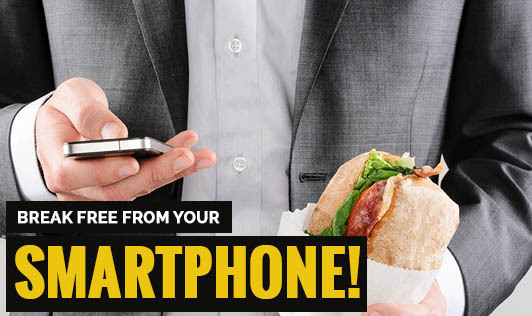 Break free from your smartphone! Are you addicted to your smartphone? It's easy to become a prisoner to your smart phone. Experts suggest that too much attention to technology can leave you feeling drained and unable to concentrate. Smartphones are useful and needed in our daily lives to keep in touch with friends and family. But do not let it consume you. Take time to enjoy things that the smartphone has made you overlook!